I have not posted a project entry for the Turtle Tank Project the last couple of weeks, but I have been keeping our followers on Twitter up to date. 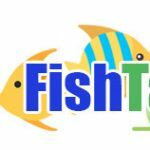 If you want to see up to the minute updates and extra pics not on the site, follow us @FishTanksMore. It has been crazy how much work has gone into this turtle tank stand. The price tag has gone up as well. You can see the current running total on the project page. I compiled some of the more interesting aspects of this diy project below. I had a little trouble here. I first thought I would have two hinged doors to access the sump area of the tank. Since I am not a carpenter and I definitely don’t have the tools to say I am a carpenter, I have opted for an access panel that can be removed when access is needed. It was an interesting sub project to glue the multiple boards together to create a single door. I actually had to do this twice. My first attempt with the clamps was clumsy. It resulted in a bent and unusable door, that broke apart the first five minutes after I had removed the clamps. Tio Effrain suggested that I use biscuits to hold the boards in place. So I went out to Home Depot and bought a Biscuit Joiner (I do not include this in the cost of the project. I will use for other projects). This was a much better experience. I used one biscuit on each side and end of the boards. Hindsight, I would have used two at each end. I can try it next time. The last piece of the puzzle was how to remove the access panel. Leti and I wanted to keep the clean lines and straight edges on the stand. That meant no knobs or hardware sticking out. I went with two pull tabs at the top of the access panel. It looks nice and doesn’t mess with the aesthetics of the stand. Get ready for the theme…I had a little trouble here. I originally built a wood frame that I would wrap with a veneer of some sort that matched the bottom part of the stand. The frame I built was not flush or square. A 4 dollar orange square from Home Depot is all I needed to not make that mistake. I now have two. The one I couldn’t find, but did after I bought a second and the one I bought. I abandoned the inner frame and built the outer box to fit on the stand. You should be able to work it out from the pictures below. I wanted more than a plain wood box for the turtles to bask. It needed something that would stand out. The decision was made to put a 3d background of a rock wall in the interior of the canopy. It turned out okay. And okay looks awesome. I used 4 Exoterra Rock Backgrounds and tried to carve them to fit together to cover the side panels and the back of the wall. It was tedious, messy and worth it. It is not perfect, but still looks great. Next time, I think I will carve styrofoam myself. This will allow me to have one contiguous piece on the back wall. The basking area is made using plastic light diffuser covered with green outdoor carpet. I had a hrd time trying to figure out what I was going to do about the turtle lighting. The current light fixture I have is tall and would never fit in the space of the canopy. I found the right fixture, the Zilla Incandescent Dual Bulb Reptile Fixture. It had a low enough profile and fit over half of the length of the aquarium to cover the basking area. I used little hook screws that I ran copper wire through the vents of the hood to hang it from the ceiling of the canopy. It turned out nice. Thanks for reading, and please share with your friends and followers. Next tasks will be the plumbing of the sump!! !